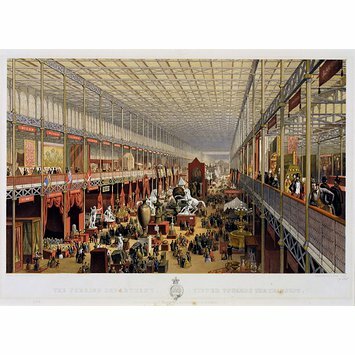 This colour lithograph is an interior view of the Crystal Palace in Hyde Park. 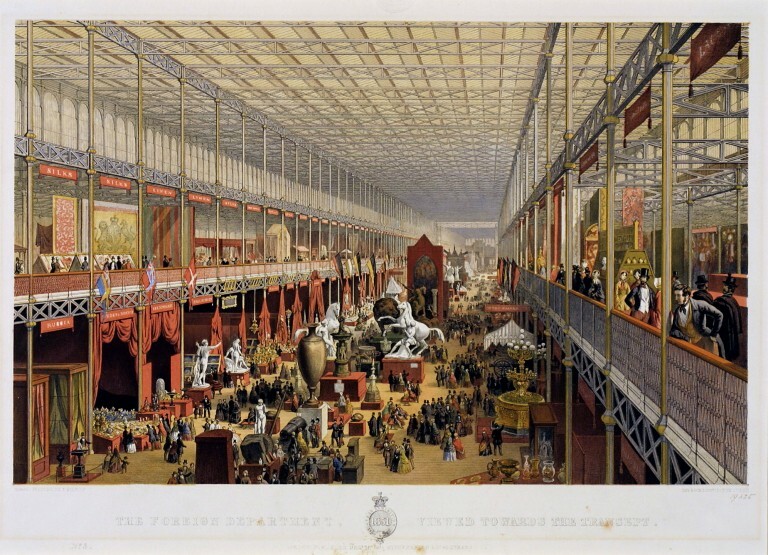 It was the site for the Great Exhibition of the Works of Industry of All Nations in 1851. The Great Exhibition included examples of industrial design from all around the world. Exhibits classified as Materials are on display on the first floor. These ranged from raw coal to food. You can see some of the foreign pavilions on the ground floor, with the Russian one on the left. Foreign travel was unusual at the time. The pavilions enabled visitors to see the exotic and the unfamiliar for themselves.